A winning look combines with easy wearing comfort in the SKECHERS Relaxed Fit®: Savvy - Play the Game shoe. 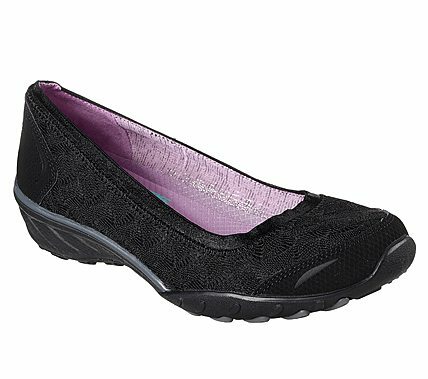 Soft woven textured mesh fabric and smooth synthetic upper in a slip on casual comfort wedge heeled loafer skimmer with stitching and overlay accents. Air Cooled Memory Foam insole.